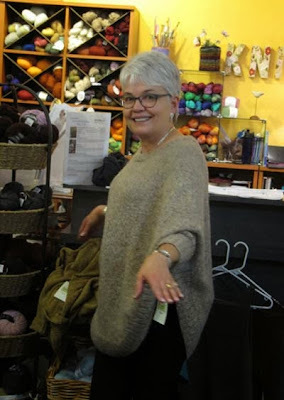 One of the things I was looking forward to, even more than the yarn crawl, was knitting with the group at A Knitted Peace on Monday afternoon. 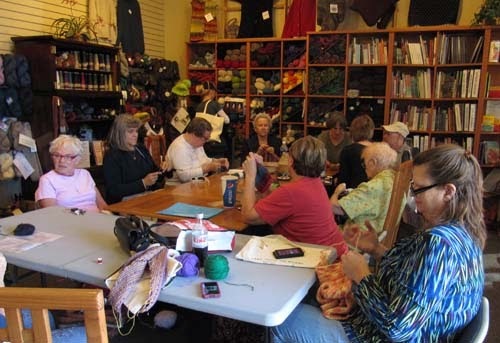 I've spent many hours knitting with these ladies and it was good to spend time with them. I will always try to time any visit to Denver to include a Monday so that I can join them again. On Friday night the store was holding a special event. 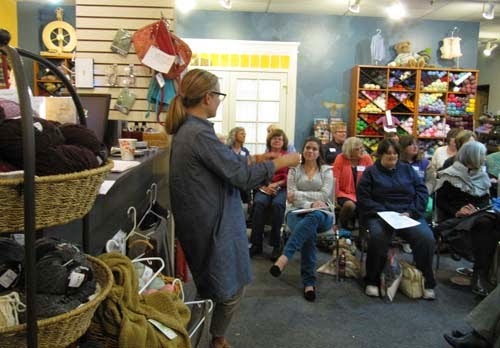 It was talk and trunk show given by designer Julie Weisenberger of Cocoknits. Many tried on her designs, which were very flattering on everyone. I think a number of patterns and the yarn went home with many of the knitters that night. I was tempted, but I was good....this time! She wears it well. And here's Molly. I don't think those two have ever taken a bad photo. Molly jokingly said that she was wearing her Beetlejuice pants. She cracks me up all the time! 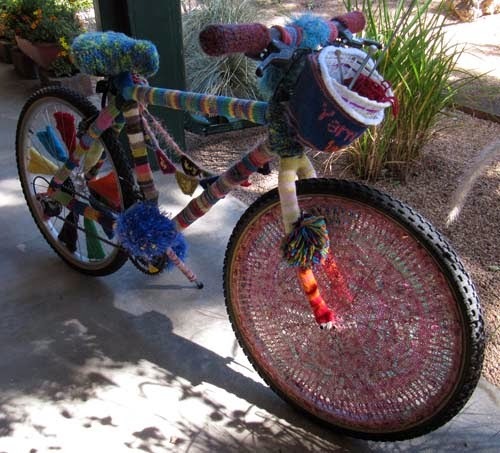 One of the stops along the yarn crawl was YarnWest in Evergreen that had this yarn-bombed bicycle outside in front of the store. 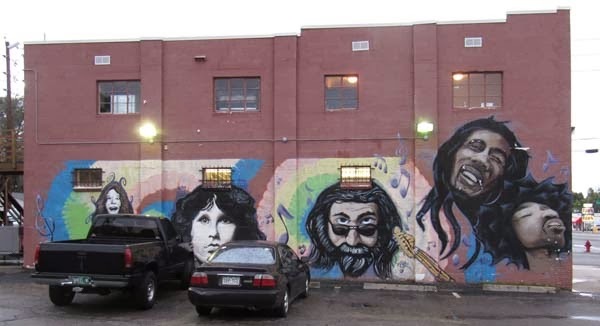 You have probably read in the news that Colorado has made smoking marijuana legal. There are shops all over the city. I saw many on Broadway and pulled into the parking lot of one of them. It wasn't to go shopping but to take pictures of the artwork on the side of the building. Someone is very talented. 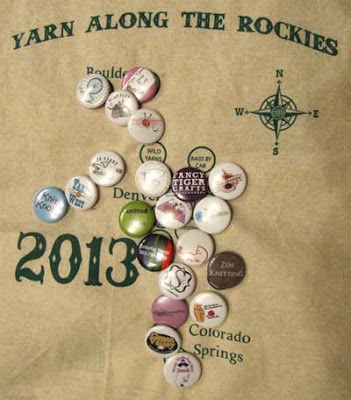 All in all it was a wonderful week in Denver and I'm already looking forward to my next visit.